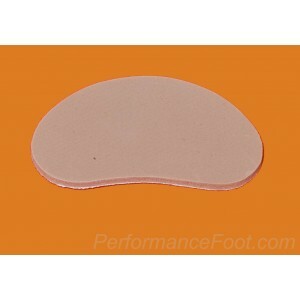 The Foam Kidney Shaped Pads provide excellent padding for any area of the foot or heel by preventing friction and pain. 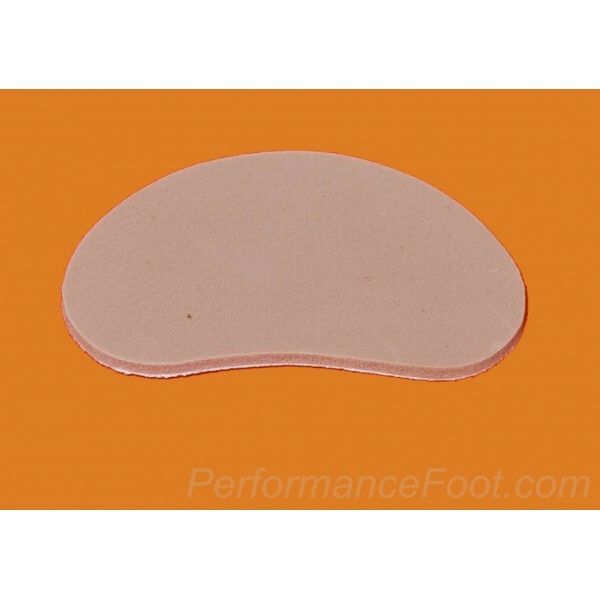 The Foam Kidney Shaped Pads provide excellent padding for any area of the foot or heel. These pads prevent friction and pain. They can be used directly to the skin or directly to the shoe. Our kidney shaped pads come in either felt, soft foam, or moleskin. These 3” precut kidney shaped pads are impossible to find anywhere else on the internet. How to apply: Gently apply to clean dry foot. Remove adhesive back and apply pad at the area of pain. These pads are designed to place directly to the foot, however, can be placed directly to the shoe itself. Recommended Care: the pad is designed for single application. Dispose after use. The life of the pad is determined by its care, use, and activity level. Multiple uses is possible based on these same parameters. Precautions: Gently apply to clean dry foot. Remove adhesive back and apply pad to the area of pain. These pads are designed to place directly to the foot, however, can be placed directly to the shoe itself. Uniqueness of product: You can order this product in bulk at very low pricing. I need extra padding somewhere on my foot.